Global Views 9.92638 - Metals and glass play with light and shadows in our Crystallism T-Lite. 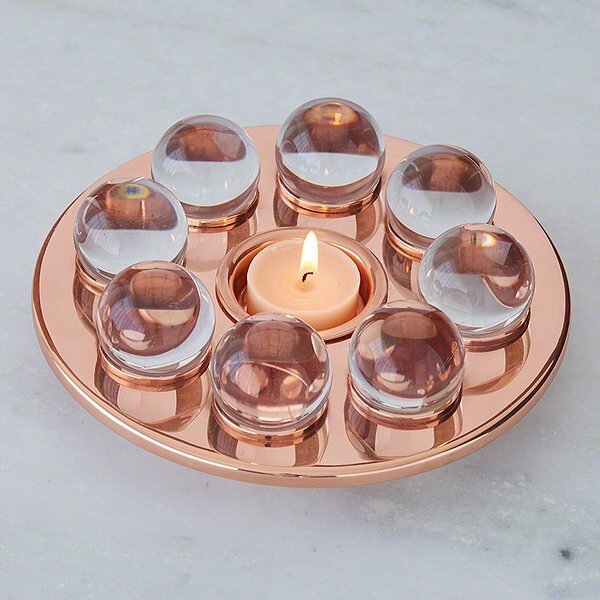 The solid brass t-lite holder displays eight 1 1/2" spheres. When the votive is lit, the flame's light bounces off the crystal spheres creating flickering flashes of light and shadow. Holds one tea light (not included). Also available in solid brass.